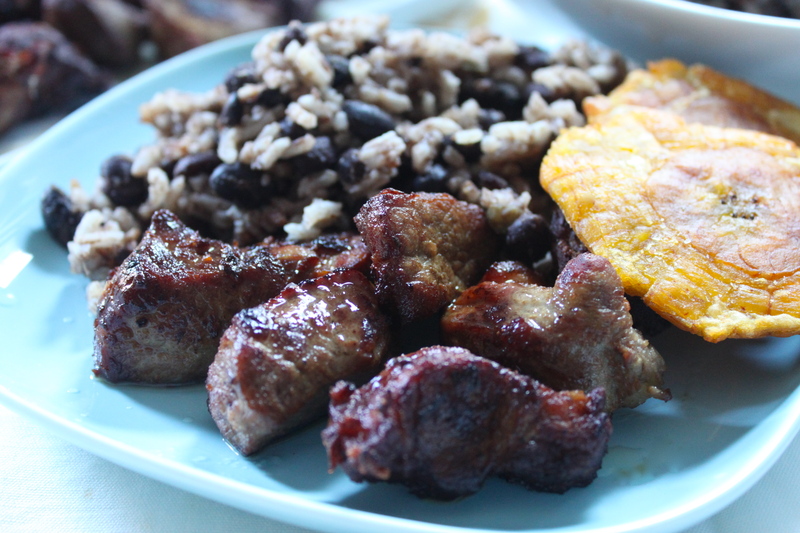 Whenever I think of eating at home, my mind extends to the Cuban restaurants that dot Miami. The tables were filled with people you knew, the waitresses treated you like a grandaughter, affectionate but critical, and the food was definitely home cooking. Masitas de puerco were my order from the first time anyone thought to ask me what I’d like, possibly because I knew exactly what I was getting. A few rounds of “guess what you just ate?” with my grandfather making me nervous about venturing to far from the safe and familiar (typical answers: pig’s brains and blood pudding). It may have been a game but I didn’t always feel like playing. Though there were always standbys – Versailles, La Casita, Habana Vieja, or the long gone Centro Vasco – new contenders were always thrown into the mix. It wasn’t important where they sprang up. If word spread that they were good, people would find them. They’re success coming in waves of talk that brought everyone in from one day to the next. Whenever friends visit Miami, they always ask me where they should eat. I’ll give them a few suggestions but feel like I’m holding out on them. Partly because I know that a goose chase to a non-descript lunch-counter – wedged between a beauty supply shop and travel agency in an otherwise abandoned strip mall facing a car dealership – isn’t really what they’re asking for and partly because I just don’t know. Favorites are constantly changing and I’m never sure what’s running hot till I get there, just what I’ll be having when I do. Using the side of a large knife or mortar and pestle, mash the garlic to a paste with salt, pepper, and oregano. Add citrus juices. In a large glass bowl, pour marinade over pork chunks and refrigerate for at least 1 hour. 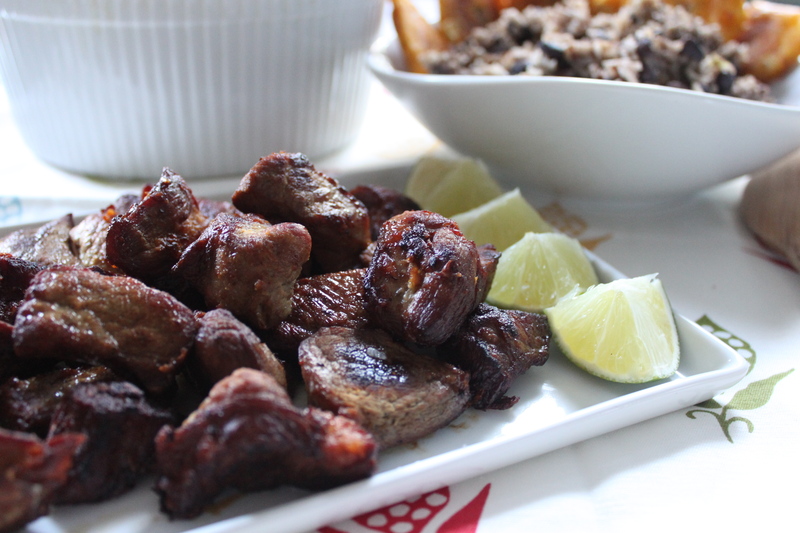 Drain pork chunks well and discard the marinade. Pat chunks dry. In a heavy skillet or deep fryer, heat 2 inches of oil over medium-high heat to 375º. Add the pork chunks to the oil 5-6 at a time, turning them until they are browned on all sides and cooked through, about 5-6 minutes. Be careful not to overcrowd the skillet or the oil temperature will fall. Remove from oil and drain on a rack lined with paper towels. If not immediately serving, place in an oven preheated to 200° to keep warm while you fry the rest in batches. 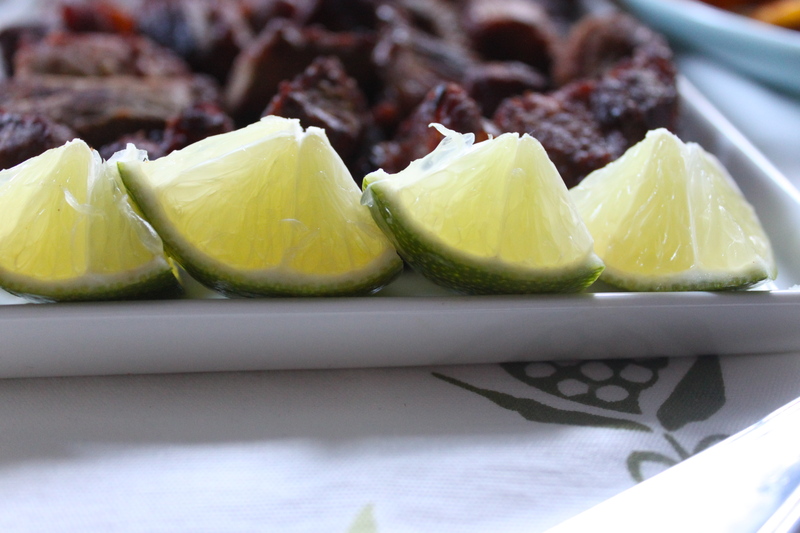 Serve with lime wedges with congrí or white rice and with tostones. Be still my heart!!!! Dominicans make a version of this too and I can eat way more than I would like to admit in one serving. They look amazing and are making me hungry as I prepare to step away from my desk for a lunch time run. mmmmm…looks delicious, and easy to make. That’s right up my alley.